There are several known strains of this condition, most of which are specific to certain regions of Tamriel. However, the most common strain—which causes the afflicted to turn into werewolves—is known to occur across the whole of the continent. Strictly speaking, the word "lycanthrope" originally referred only to this strain, but it has long been used to refer to anyone who undergoes a similar beast transformation. Lycanthropy, like vampirism, is a Daedric-borne supernatural disease that greatly alters its host and grants unique abilities. Lycanthropy was originally created by Hircine, who bestows it as a "blessing" upon devotees and great hunters. Followers of Hircine can also ritually bestow this blessing upon others, and can even replace vampirism with lycanthropy (the two conditions are apparently mutually exclusive). It is unknown when the first lycanthrope came into existence. According to a legend, lycanthropes were already hunted down during the reign of Hoag Merkiller by Thane Icehammer, but were known to exist since the early Merethic Era. 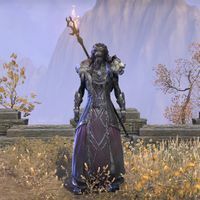 Unlike Molag Bal, Hircine maintains an active role in his creations' existence, as he has been known to personally enhance favored lycanthropes with increased abilities and rewards some with items of power, such as the ring of Hircine which allows a lycanthrope to control his or her transformations. Hircine has even been approached or summoned by packs of werewolves to appoint a pack leader, thus serving as an advisor and an important figure amongst lycanthropes. Lycanthropy is also a contagious condition. Close contact with a were-creature can transmit a special disease, which progresses to full-blown lycanthropy within a few days (if untreated). For instance, Sanies Lupinus can be contracted from werewolves, and over time will convert the afflicted into a werewolf. Transmission seems to be brought about through being wounded via the claws or teeth of were-creature, however since most victims are killed, transmission occurs less commonly out of a controlled circumstances. The most important and obvious effect of lycanthropy is the beast transformation itself. While in beast form, the lycanthrope has increased height and altered proportions, with one strain being recorded as having increased shoulder width, lengthened arms, narrowed hips and increased leg height. The physical alteration grants the were-creature enhanced strength, speed, resilience, and stamina, as well as enchanted claws that can harm creatures that are immune to conventional weaponry. Wolves and even bears may have a special affinity for werewolves, being less likely to attack them, and sometimes actually hunting with a werewolf. Were-creatures are affected mentally as well, experiencing intense bloodlust and, in extreme cases, amnesia. A few effects of lycanthropy are present outside of transformation. The aforementioned bloodlust being a notable instance as even in human form, the afflicted may still feel the desire to hunt and kill. Lycanthropes are immune to all diseases and experience fitful sleep. They also may retain subtle physical traits outside of beast form, such as scents, or small patches of fur. Lycanthropy also has spiritual effects that persist after death. Lycanthropes go to Hircine's Hunting Grounds after death, rather than the afterlife they would otherwise have received. Werewolves have many subclasses. Below are subclasses dedicated to the wolf-like strain of lycanthropy. There is the Sable Man-Beast. Not much is known about it but their appearance is beast-like even while in a humanoid form. Sable Man-Beast are observed to be more intelligent and less primal and are able to cast magic and use weaponry. Werewolf Lords are similar to sable man-beasts in appearance and may be related. One of the most notable Werewolf Lords was Vykosa, who was so powerful that she could even bend the will of other werewolves. There is also the Werewolf Behemoth, an experimental werewolf form created by Vykosa's Archivist Ernarde which grants the werewolf amplified strength and size, allowing them to become unstoppable warriors should they survive the process. 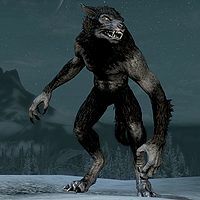 An old common belief amongst the typical citizens of Tamriel is that Lycanthropes will transform during a specific phase of one or even both of the moons, even some werewolves have been known to believe this. However, transformations have actually been known to occur monthly, daily, at will or not at all if the person wills it so. Despite their fearsome form and frenzied bloodlust, lycanthropes or at least werewolves are actually omnivorous rather than carnivorous as some werewolves have been known to survive simply on berries and herbs, however, it is unclear if this was in human form or their beast form. Werewolves will typically devour at least some of their kills however. Individuals that specialize in tracking down and killing lycanthropes are known as werewolf hunters. 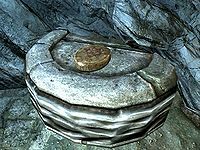 These may work alone or in small groups, or they may be part of a larger organization dedicated to wiping out lycanthropy (such as the Order of the Silver Dawn, the Silver Hand, or the Vigilants of Stendarr). Werewolf hunters often target vampires and Daedra worshipers as well. A third, perhaps unique method was employed by the werewolves of Kerbol's Hollow in the Second Era. There, an entire village of werewolves was bound together in a ritual that suppressed their bloodlust and transformations entirely, leading to the appearance of a cure. However, this state was fragile, since if even one villager were to leave, the spell would be broken. Furthermore, the ritual had troubling side effects, subjecting the minds of those affected to the will of the caster, and changing their personalities. 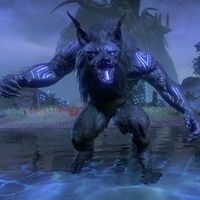 Type is solely dictated by the strain of lycanthropy contracted—Argonians will turn into mammalian werecreatures just like other races will turn into reptilian werecreatures, and all races will turn into birds, fish, etc.. The Totems of Hircine are said to date from prehistoric times, before even speech was developed. Each one grants a special power to any lycanthrope who possesses and reveres the item. According to the 16 Accords of Madness, v. VI, Hircine once imbued a Daedroth with lycanthropy to fight in a duel with a creature of Sheogorath. There are no other mentions of such Daedric lycanthropes, however. For game-specific werewolf and lycanthropy information, see the Daggerfall, Morrowind, Skyrim, and ESO articles.